The Coal Ministry has said that coal prices under CIL's new pricing mechanism will be revised downward by the end of the current month. 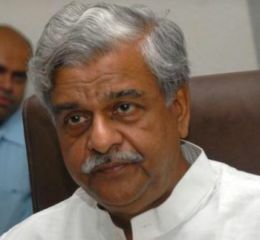 Coal Minister Sriprakash Jaiswal was coted saying that Coal India (CIL) had made some mistake in the system adopted for pricing of coal (as per the new formula) and in his opinion the price fixed was more than required. A lowering of prices could be expected by 30 January. He however clarified the GCV-based pricing for coal will not annulled. Earlier this month, the state-run miner decided to benchmark the pricing for non-coking coal to gross calorific value (GCV) from the current useful heat value (UHV) based gradation. GCV pricing mechanism came into force on January 1. Inspite of the fact that the Coal Ministry had indicated the new formula would be revenue-neutral, it had led to an increase in rates of the fossil fuel. Till December 31, 2011, CIL had followed a pricing mechanism based on the Useful Heat Value (UHV) of coal, which deducted ash and moisture content from the standard formula. However, from January 1, it shifted to a new pricing mechanism based on the GCV of coal. Under this system, coal prices have been linked to the actual calorific value or quality of coal.